I understand no replacement for real flying in the air, this said, I can see that the latest simulator programmes are extremely realistic (X-Plane). Has anyone found practicising ATC calls, procedures, check lists, NAV useful on one of these programmes? If so, may I ask your recommended programme and PC set up. I am student pilot at approx 35hours waiting to do first cross country. As said above, I am not looking to replace real air handling experience, this is about helping practice procedures so it goes into long term memory and also preparation. 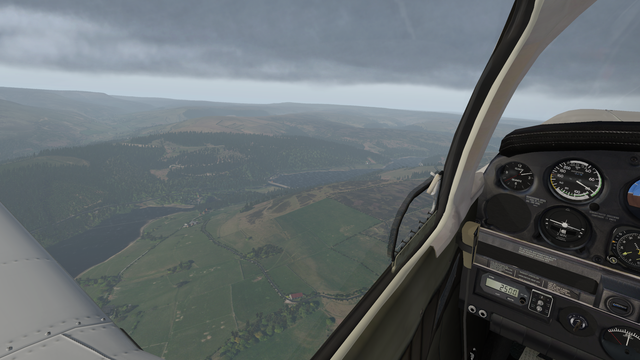 I used X-plane for practising for my IMC-rating, and will still to this day use it occasionally to rehearse a procedure. 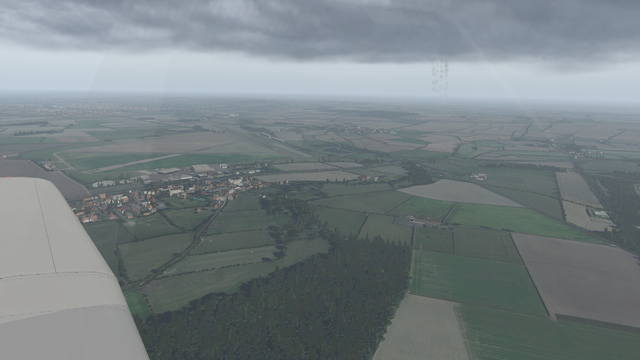 I've never bothered with the ATC side of X-plane, but I've found it's reasonably helpful for early practice of e.g. intercepting an ILS, VOR navigation, etc. Graphics card and a fast SSD were most important aspects ...... it used to run equally fine under Windows 7; and is fine with 8GB RAM. It will run fine without SSD, but the load times are tedious. I have a setup using x-plane 11 and most importantly using scenery textures generated using Ortho4XP (uses satellite mapping imagery to create textures) and a scenery package that adds items such as roads, buildings, wind turbines and power stations according to their position of OpenStreetMap. This gives enough detail to fly DR on the sim. I have personally found ground handling to be Carp on most models - even the paid ones - but flight characteristics seem to be ok. I'm doing IR(R) so now using it to practice that. Real life ATC can be added using VATSIM, but that is largely aimed at large airports and Commercial stuff. To get it working well, you'll also want a usb sound card so you can have just the radio coming through to your headset. I have used it to fly a C152 into Birmingham and the controllers were very good (accurate), but haven't tried asking for a basic service yet! One addition that I feel made the best impact was TrackHat. Head tracking means my single 32" monitor is enough, as a slight turn of the head means you can see through the side window/down to the bottom of the panel without resorting to the hat switch. I'll get a photo uploaded later to placate the nay-sayers who will surely be on their way! One point though, if you want a good setup it is not cheap - I built mine as I wanted a simulator anyway; I used MSFS a couple of decades ago with a very basic joystick setup and was interested to see how far things had advanced. Like real flying, it's best not to add up the total cost! Excuse the Carp flying - trying to be a video director at the same time as pilot doesn't really work! Thank you so much, I am truly amazed at the quality and you have inspired me to press on with SIM options. For the old school guys I am not proposing for one minute replacing real air time. My issue is that trying to not forget procedures or running procedures through the brain so it starts to become habit has to help you learn. I’ve also just worked it out to be around £2.5k in hardware before the rest of the DIY that I had to do to convince SWMBO to let me put it in the spare room! I was about to say, "for that sort of expenditure, you could buy a lot of lessons ,or even an aeroplane/share. "...you've said it for me! Lerk - great setup. I also use XP11 with orthoxp and this has helped me greatly with Nav flying. A few questions for you. 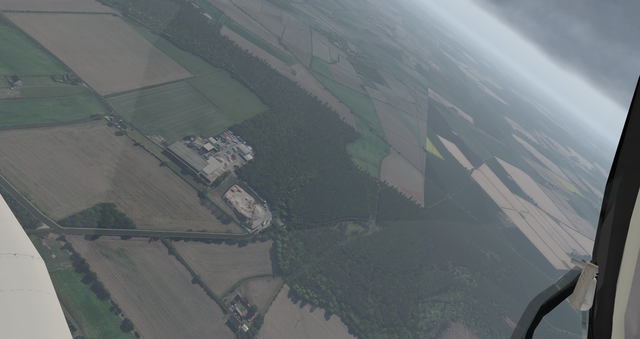 1 - I turn all X plane scenery off (building, trees, roads etc) as it tends to obscure some important features on the satellite images (VRPs etc). However, I would like to ask which scenery package you use? 2 - I notice you have added some radio panels and one instrument. Do you feel this helps with just a nice to have? 3 - Any chance you could list out our spec, espcially your xplane add-ons? 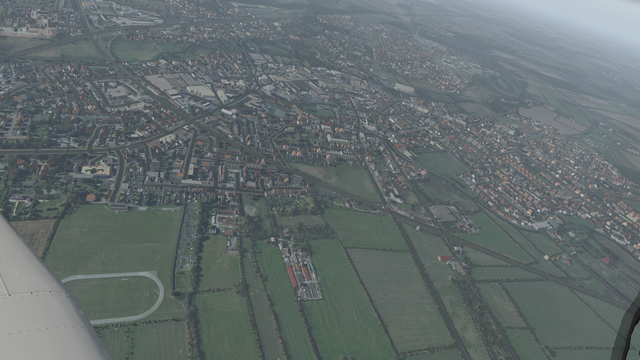 NewFlyer78 wrote: 1 - I turn all X plane scenery off (building, trees, roads etc) as it tends to obscure some important features on the satellite images (VRPs etc). However, I would like to ask which scenery package you use? That is the list of locations, then you need a few libraries of scenery objects for it to place. NewFlyer78 wrote: 2 - I notice you have added some radio panels and one instrument. Do you feel this helps with just a nice to have? I wanted to have buttons in roughly the right place (well not just on a joystick or a keyboard) for practicing procedures. Saitek have been very shrewd when it comes to the selection of functions you get on each of their devices - I didn't really want the autopilot stuff, but they handily stuck the trim wheel and flap lever on the side of it. The Radio is handy as you can set pretty much all of your avionics through it - The single instrument I bought to get the VOR display and adjustment. It also does a handy EFIS screen which is good for older aircraft models that don't have a 3D cockpit. NewFlyer78 wrote: 3 - Any chance you could list out our spec, espcially your xplane add-ons? The PC is a PC Specialist pre-built unit that was on offer at PC World - I did look at scratch building but I haven't done that in a decade or two and when I was pricing it up, it was cheaper to buy pre-built. Saitek Yoke, throttle quadrant, pedals. Switch panel, Multi panel, Radio panel, Instrument panel. TrackHat clip attached to Turtlebeach PX24 headset connected to usb soundcard. All of the above connected to a 10way powered USB Hub. iPad mini is my usual flying GPS, but in this case using XPlane as a location source. Audio is routed through PC speakers, with VATSIM audio using the USB soundcard - get the levels right and it sounds pretty much spot on! The scenery pack does do some weird things to airports - you have to build exclusion zones around them to retain the original airport scenery. Also the smoke coming from chimneys rises far too fast and is always black, but I've not managed to figure that bit out yet. I'm assuming you know what scenerypacks.ini does... can you tell where I fly? 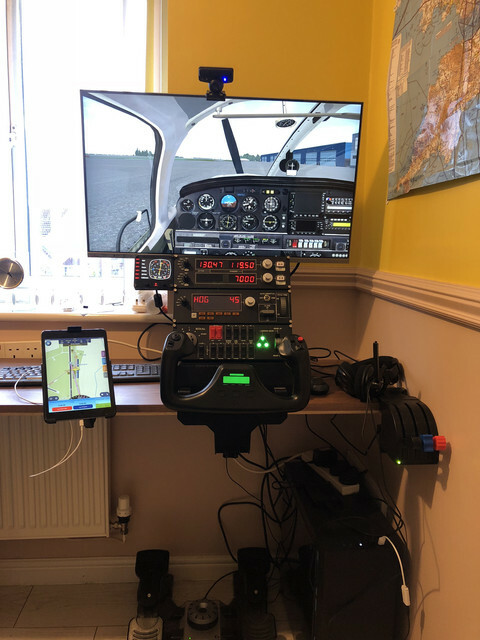 It just does the same as ortho4xp without you doing the downloading and setting up - depends how much of a tinkerer you are as to whether that is part of the fun! Thanks for sharing Lerk! Some great tips on how I can improve my setup!